THE launching of Air Niugini’s new Passenger Service System, the introduction of its universal airline travel plan account and the International Operational Safety Audit report were featured in the airline’s 44th anniversary celebrations. “We are also doing a complete overall of the interior of our aircraft,” Air Niugini general manager commercial Dominic Kaumu said. Air Niugini held an open day on Saturday in Port Moresby with a display of some of its products and services to the public. Departments involved included human resources, engineering, destinations, tours, cabin crew and sales. 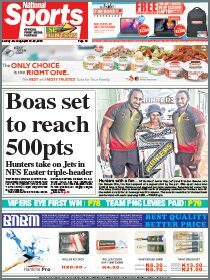 “For the past 44 years, the people, business sector, everyone supported Air Niugini and allowed it to grow to where it is today,” he said. 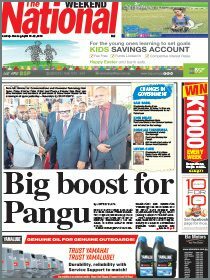 He said Air Niugini would continue with its community obligation and sponsorships. Kaumu encouraged people to book early for the Christmas period.